I really have to say this site made me very happy when I found it, just the graphic alone is fun. But when I started clicking, everything I saw was fun. I don't usually promote others when I have to promote myself so much. I really just wanted to share. When I found this page I just needed to click on it and see what I would find. I found FUN! I wonder what TINGU stands for. On their Instagram page it says, "Home Decor Welcome to TINGU! 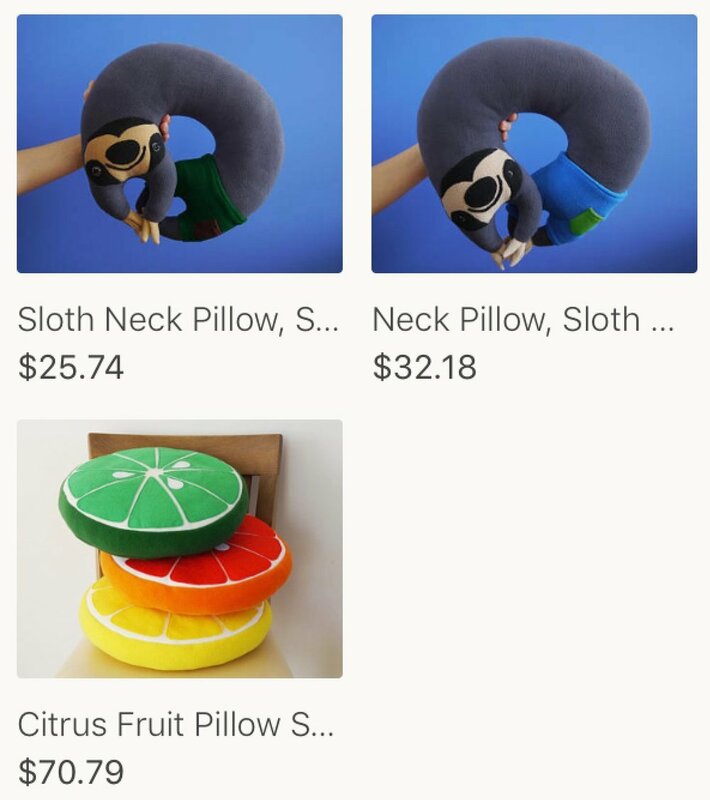 Take a look at my colorful fruit pillows and lazy sloths! TINGU in Lithuania means "Lazy"
"My name is Fausta and I'm a self-taught artist from Lithuania, Vilnius. I enjoy all sorts of crafting, lately I found sewing and can't get over it. So, I present you my new experiment under name TINGU, witch in my language translates to lazy. Enjoy!"